Wreck the Halls with Boughs of Naughty! Ever thought about what Rudolph really thinks of Santa? Want to see Frosty the Snowman comically kick the Nutcracker where it hurts? 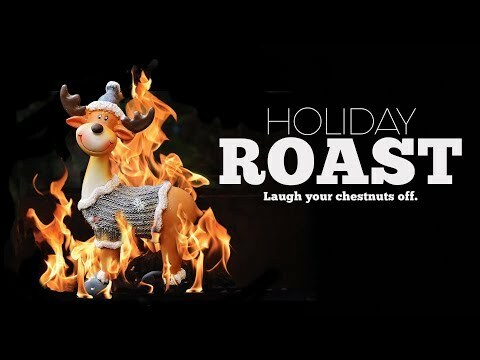 Come experience the Holiday Roast at the world famous Comedy Works. This is no ordinary comedy roast. Denver’s favorite top headlining comics will become your favorite holiday characters, only to verbally destroy each other on stage to increase your holiday cheer! So have a holly jolly roast-mas with your Comedy Works family and laugh your chestnuts off while watching the Three Wiseman turn into the Three Wise-Asses! Hosted by the one and only Santa Claus!